Umag is the first tourist destination when entering the northern part of the Adriatic coast, is a picturesque Mediterranean town-port. The sea is crystal clear and suitable for swimming from May to October. Umag has a rich and interesting past: it was discovered by the Roman nobles who decided to usurp it as their summer residence, while the Germanic kingdoms, the Byzantine Empire and the Frankish state fought over it until it recognized the authority of the Venetian Republic in the late Middle Ages. 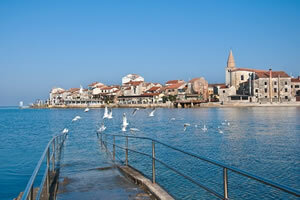 Umag stayed under the reign of Venice until its fall in the late 18th century. The legacy of those times remains preserved in numerous Renaissance and Baroque Venetian houses of the old Umag town centre, parts of the walls, towers and churches. 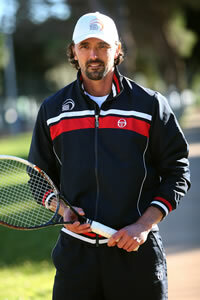 Umag Tennis Academy has at its disposal 26 tennis courts – 25 clay and one hard court. Four indoor courts allow training throughout the year, regardless of weather conditions. Cutting edge infrastructure, world class clay courts, and high quality hotels, were the reason Goran Ivanišević, Croatia’s Wimbledon Champion of 2001, chose Umag Tennis Academy as the location for his tennis PRO Camp.